it looks so freakish….it just spoke to me. 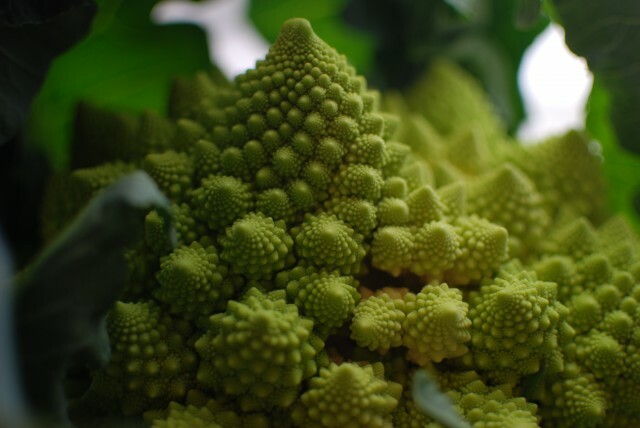 a hybrid in taste and texture between broccoli and cauliflower…probably closer to cauli but with a big sprinkle of broccoli. best oven roasted and slightly charred – with salt, pepper, and good dose of olive oil. amazing that it comes out of the ground! This entry was posted in random and tagged "farmers market", vegetable. Bookmark the permalink.